MELBOURNE (Scrap Monster): Replas-the leading Australian recycler that reprocesses the country’s plastic waste into useful products has opened new plastics recycling facility in the Logan City Council area, Queensland, Australia. The new facility will accept both flexible and rigid mixed plastic scrap from local collection streams. 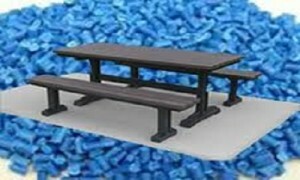 The plastics thus recycled will be utilized towards manufacturing a range of useful infrastructure products. The new state-of-the-art facility employs latest technology. It is expected to cut down prediction costs drastically as it is highly energy-efficient. The automated plant offers 30% energy savings, the company stated. The plant software also allows it to be monitored and controlled remotely. The construction of the plant was funded by a $ 600,000 grant from the Australian Packaging Covenant and The Queensland Government through the Department of Environment & Heritage Protection. The new plant will expand Replas’ geographic reach beyond Victoria, which currently accounts for the company’s entire production. Replas is Australia’s leading manufacturer of recycled-plastic products. The company has developed world leading technology to reprocesses Australia’s plastic waste into a range of over 200 robust products. This technology offers the ability to mix different plastic polymers together to create complex three dimensional shapes and produce a large range of color options. The range includes bollards, signage, outdoor furniture, fitness equipment and decking as well as products suitable for traffic control, parks and gardens and the utilities industry.